Appearing every Thursday & Friday from 9:00PM-12:00AM, The Joe Costello Project performs in the Mbar of the Prado Restaurant at Omni Scottsdale Resort & Spa at Montelucia. Thursday nights are more traditional straight-ahead jazz while Friday’s music is smooth jazz with a little more of a back-beat. From October to thru May, The Joe Costello Project also performs every Sunday at T. Cook’s at The Royal Palms Resort & Spa for their Sunday Brunch from 11AM-3PM. A new venue where you can now see the trio as part of the monthly rotation from 8PM-12AM, is in the Reflections Lounge at the Wild Horse Pass Hotel & Casino. The Joe Costello Project has quickly become a valley favorite. While the band pays homage to the traditional jazz standards, they also surprise the crowd with pop, soul & even some funk tunes to groove and dance the night away. The ensemble, be it a trio, quartet or backing up a vocalist, perfectly matches the style and mood of each venue or occasion. The grooves are fat; engaging anyone within earshot. Various guests artist appear weekly to keep things interesting and fresh. 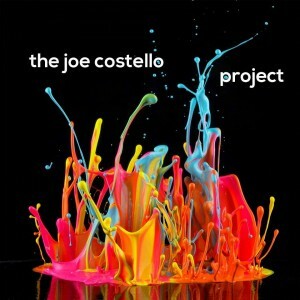 The Joe Costello Project brings everything to the table and leaves no musical stone unturned. Ask about adding a male or female vocalist when you call the book the band. Thursday nights are Joe Costello on drums, Todd Johnson on bass & Mark DeCozio OR Peter Zale alternate weeks on keys. Friday nights are Joe on drums, Andy Galore on bass & Raul Yanez on keys.